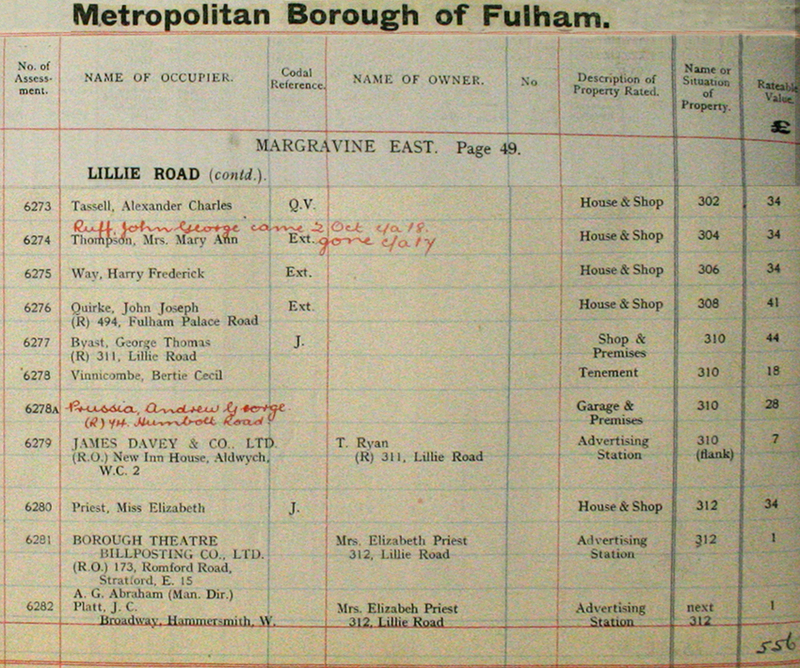 These documents are from the time Jack Ruff moved from Netherwood Road to the furniture shop in Lillie Road. 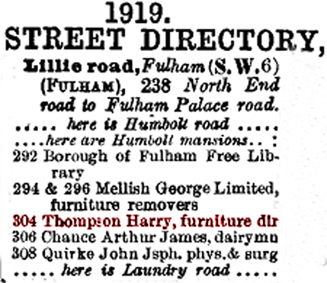 The 1919 Directory lists Harry Thompson as owner of the premises. Following his death that year the business was ran by his wife Mary Ann Thompson until Jack Ruff acquired the premises. The electoral register above lists Jack Ruff at both addresses in 1921. The Rate Book extract below lists Mrs Mary Ann Thompson as Occupier at 304 Lillie Road. Added in hand written red ink is John George Ruff with a note that he came on 2nd October. We have included the entries between 302 and 312 which show the various occupants and rateable value of the properties. In the case of 304 its rateable value at this time was only £34.